We, especially ardent Windows Phone/Lumia fans, all know how it went. In the past year, our hopes for a real flagship Windows Phone device were repeatedly dashed whenever a new Lumia was announced. 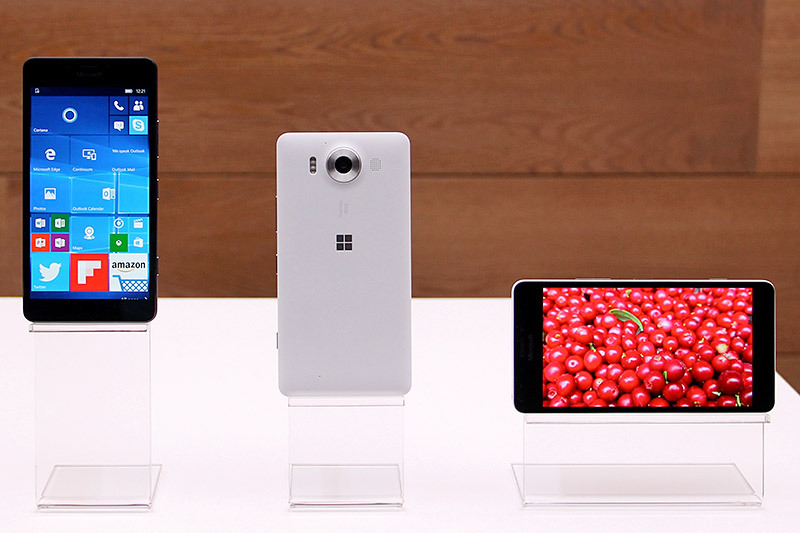 Lumia 535, 435, 532, 640/640 XL, 430, 540 - now these are good Windows Phones. But sorry, they just aren’t worthy of a flagship billing. But today isn’t one of those disappointing days. Today is the day Microsoft unveils the Lumia 950 and 950 XL, two high-end handsets running the brand spanking new Windows 10 Mobile. Those following the leaks should already have a good idea what to expect. 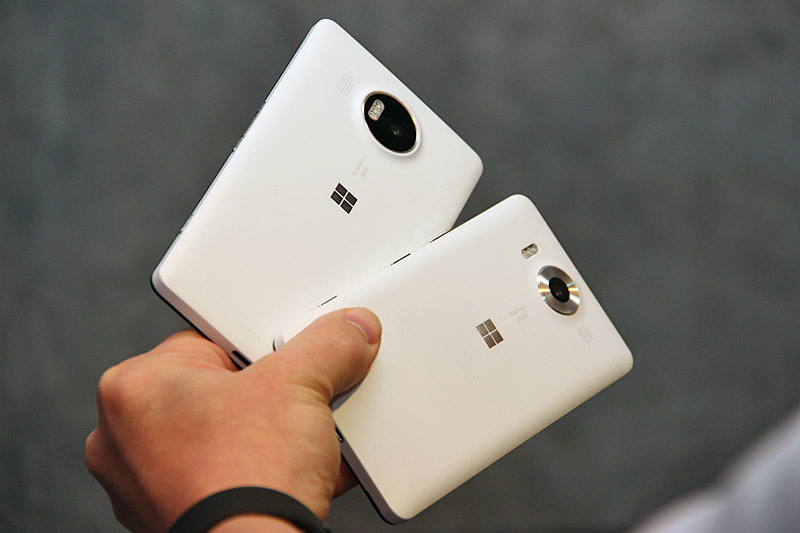 For the uninitiated, the Lumia 950 and 950 XL share identical components under the hood for the most part. These include a 20-megapixel rear camera with triple-LED flash, a 5MP front-facing camera, an iris scanner that supports the Windows Hello biometrics framework (in beta form on the phones at the moment), 3GB RAM, 32GB storage with microSD card expandability, fast charging over the USB-C port, as well as built-in wireless charging support (requires optional wireless charger). 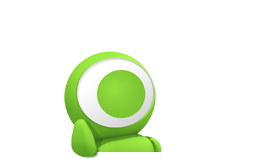 The two key differences lie in the screen size and processor. 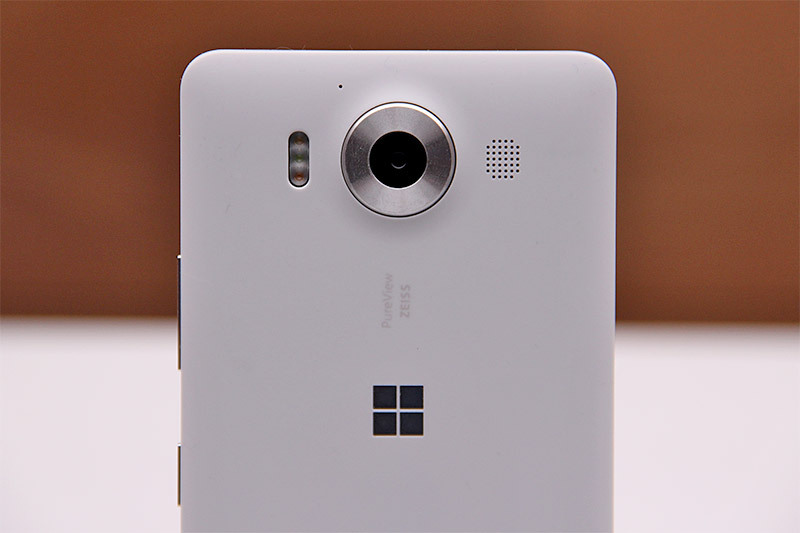 The Lumia 950 has a 5.2-inch Quad HD (2,560 x 1,440) screen; the 950 XL sports the same resolution but comes in at 5.7 inches. The 950 also uses Qualcomm’s Snapdragon 808 hexa-core chip clocked at 1.8GHz (also found in the likes of the LG G4 and Motorola Moto X Style), while the 950 XL has a Snapdragon 810 (presumably, version 2.1) octa-core chip clocked at 2.0GHz. 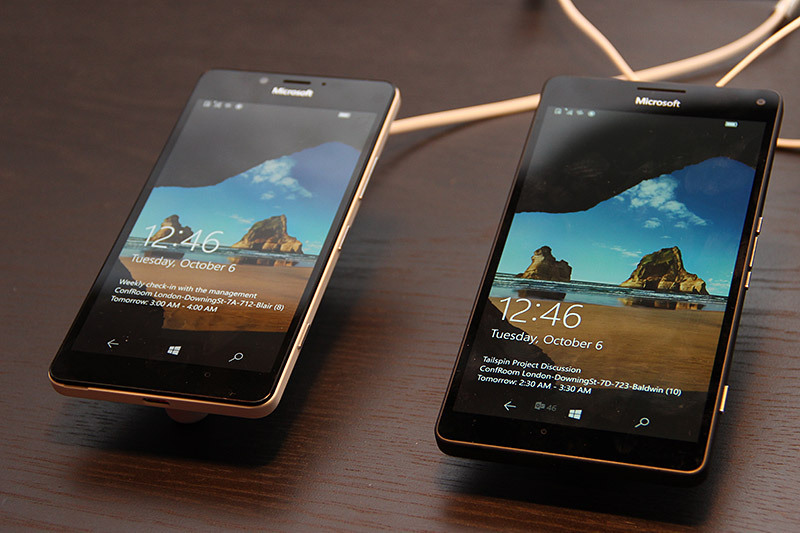 Really, you’d be hard pressed to notice the processing power difference between the Lumia 950 and 950 XL. None of the things that I’ve tried during the hands-on stressed either SoC. The UI remained fast and fluid, something that Windows Phones have always done well; and apps launched and loaded very quickly. 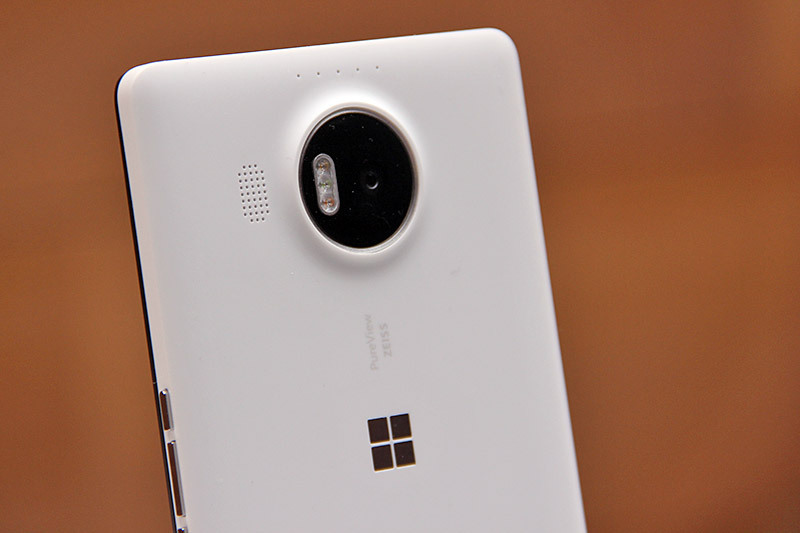 Most Lumia phones come with a good camera, and the 950 and 950 XL are not exceptions. Pleasing colors, high resolution, good low-light performance thanks to the large F1.9 aperture and 5th-gen optical image stabilization system, triple-LED flash that adapts to the scene, support for 4K video recording, fast camera startup with the dedicated camera button - both phones hardly put any foot wrong in this department. Of course, it’s hard to say at this point if the cameras are better than the ones found on the new Galaxy and iPhone models, but initial impressions are positive. Ultimately, if you’re deciding between the Lumia 950 and 950 XL, I think it’s still going to come down to the good old smaller screen makes for a better handling vs. bigger screen is better for watching content debate. Both screens exhibit vibrant colors and exceptionally deep blacks thanks to the AMOLED screen tech; and with very similar internals, I’d say that you aren’t giving up much going for the 950. 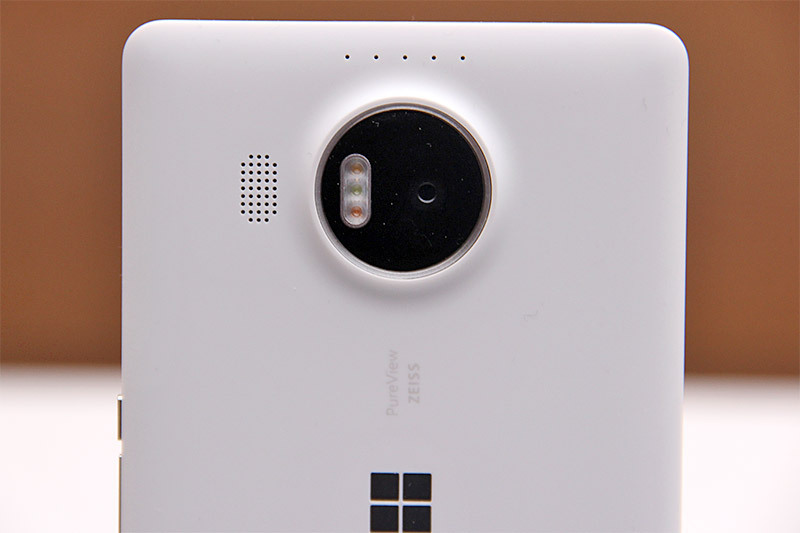 Moreover, at 5.2 inches, the Lumia 950 is by all accounts not exactly a small phone either. Still, as a fan of big-screen phones, I’m leaning towards the 950 XL myself, and I’m assuming that its larger 3,340mAh battery (the 950 has 3,000mAh) will make for an even longer battery life. For some reason, I’m seeing the Lumia 950 XL as a better and more pocketable 1520. 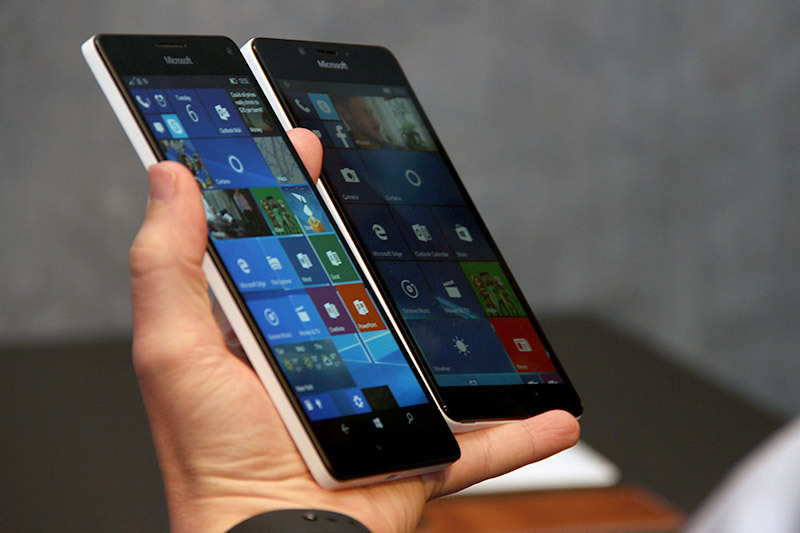 If I’m allowed to nitpick, it’ll be Microsoft’s continued use of polycarbonate shells on the new Lumias. Sure, if there’s anyone capable of making a great feeling polycarbonate body, it’s Microsoft (Nokia); and truth be told, the 950 and 950 XL do look very solidly put together and feel very good to the touch. Maybe I’m used to the latest iPhones and Galaxy phones, but a part of me hopes to feel more metal on these premium devices, beyond just the side buttons and that washer-like ring around the 950’s camera. 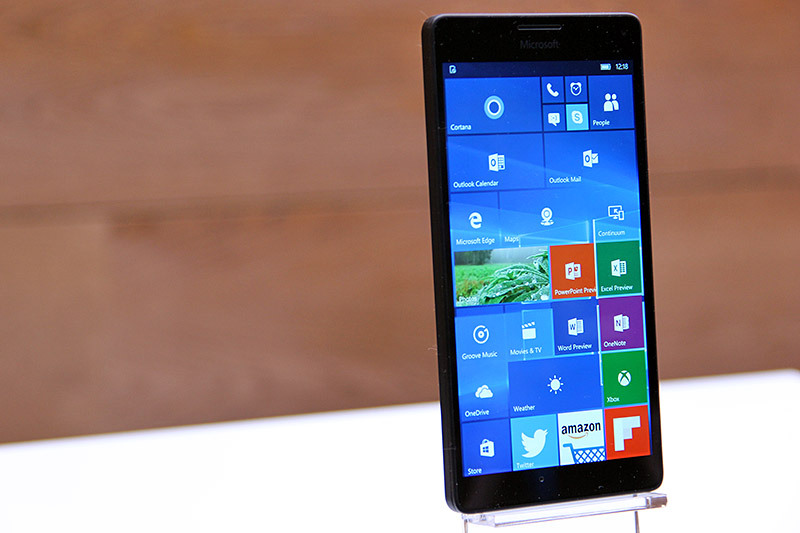 On paper, the Lumia 950 and 950 XL are definitely worthy of their flagship billing. 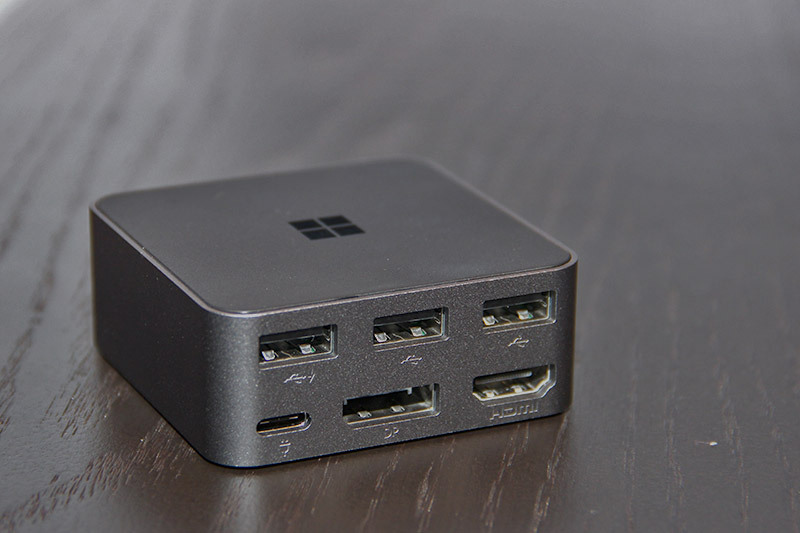 It’s seems like Microsoft has sourced the best components in the industry to put these phones together. (Heck, Microsoft says both phones are liquid cooled internally, which is crazy.) 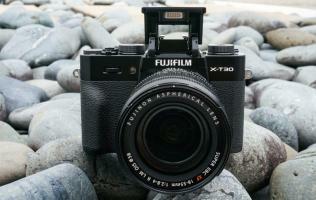 But specs seldom tell the whole story; if anything, they exist to make the software features tick. 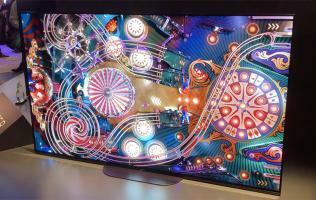 After all, if you want an AMOLED screen, wireless charging, or a high-megapixel camera, there’s no lack of excellent options in the market already. 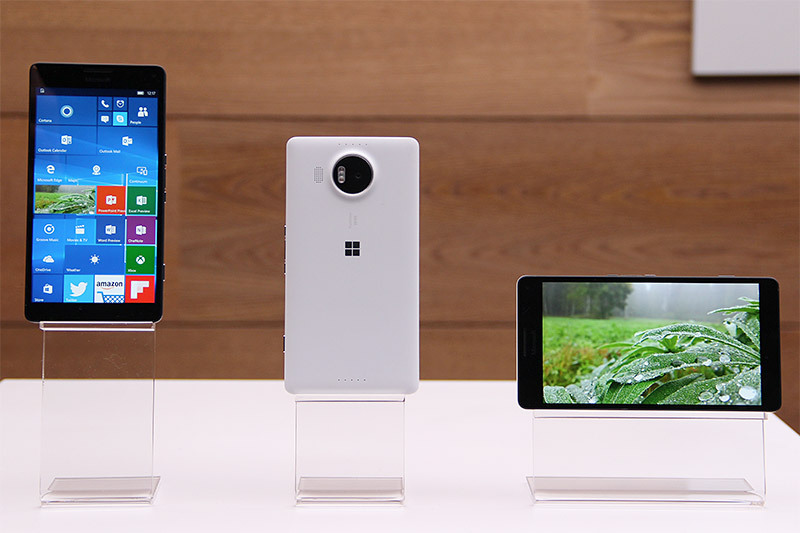 So why the Lumia 950 or 950 XL? That’s where Windows 10 (Mobile) comes in. The tune here is similar to what Microsoft has been singing for Windows 10 for PC: it’s about fun as much as productivity. 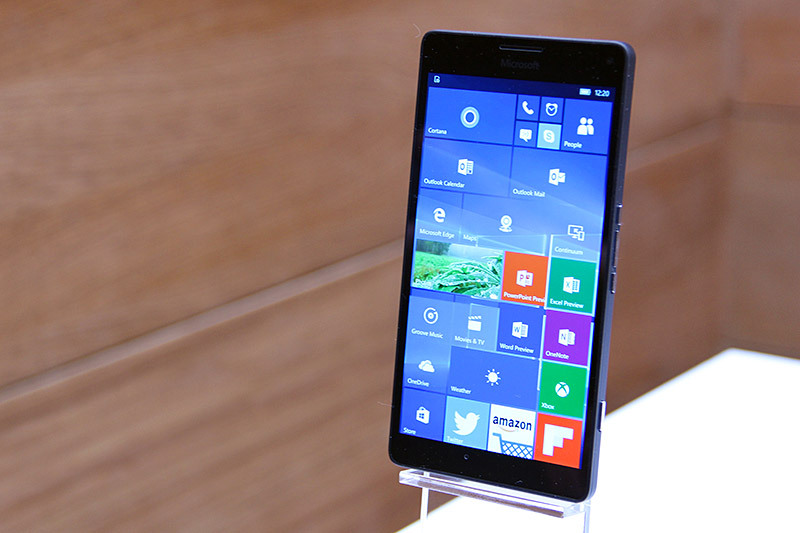 Like Google’s Nexus phones, the new Lumias are a showcase of the best Microsoft experience. And it’s immediately evident from the get-go. From the quick and seamless phone unlocking using the iris scanner (a combination of a custom camera and IR sensor) to the pleasingly smooth UI interaction to the intelligent personal assistant that’s Cortana, this is an experience that’s quite unlike what the iPhones and Galaxy phones of the world have to offer. And let’s not forget the productivity part. With universal apps like the Office Mobile apps and Continuum now ready for Windows 10 phones, the phone as a PC concept is ready for takeoff, at least in the workplace. I tried Continuum with the Microsoft Display dock hooked up to the 950 XL, and it was truly a blast. PowerPoint scaled up nicely to fit the monitor the phone/dock was connected to, and I was able to edit the document pretty much like how I would on a proper PC, switching tasks at will and accessing assets on a thumbdrive (the dock has three USB ports (including USB Type-C), as well as HDMI and DisplayPort terminals). Of course, the quantity and quality of apps remain sore points for Microsoft’s mobile platform, but Microsoft is improving the situation by getting more first-party apps onboard. Most notably, Facebook is making universal apps for Facebook, Facebook Messenger, and Instagram. 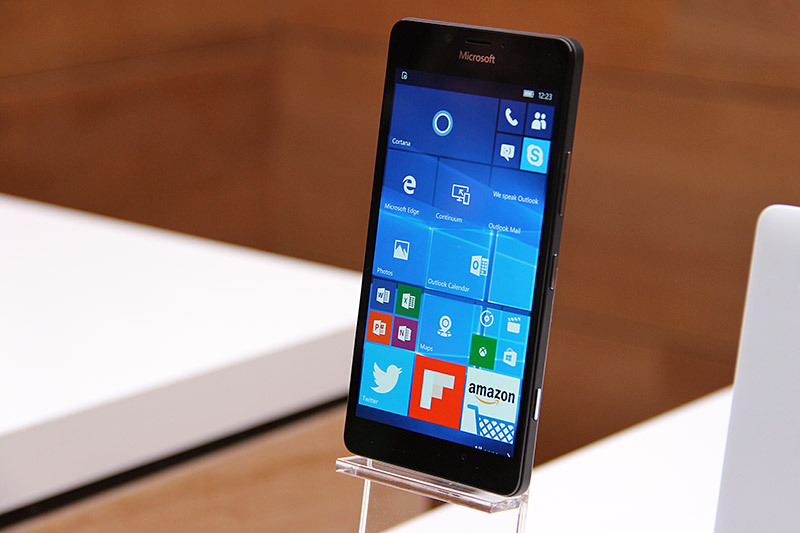 Microsoft certainly took its time with the Lumia 950 and 950 XL. 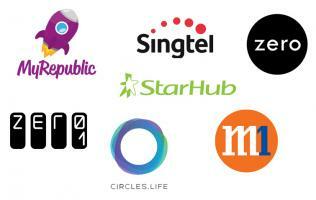 Instead of seeing them as delays, I view their existence today as a result of some very Apple-like planning. Whichever is the case, they are finally here, so let’s enjoy the moment.